Undergoing Construction Soon & In Need of A Cost Effective, Time Saving Solution To Ensure The Construction Area Is Fully Blocked Off & Secure? 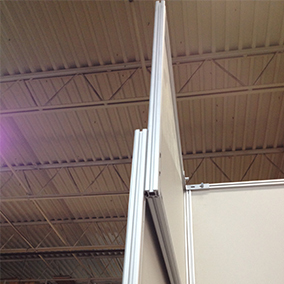 Read This To See How the MallForms Movable Partition Wall System May Be EXACTLY What You Need…. 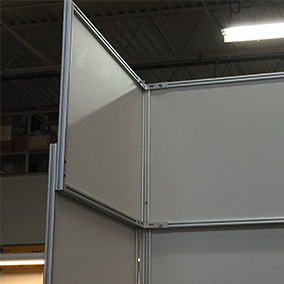 Is your place of business undergoing construction and you’re in need of an interior partition wall to securely and safely block the construction area off to keep your staff, customers and everyone around safe from construction hazards? If so, you will want to read this to see how Mallform’s temporary wall systems provides a long lasting, effective solution to keeping the construction work area blocked off securely so that your customers, staff and all those around will be safe from the common hazards (debris, dust, machinery, etc) involved in any construction area as well as keep the construction crew focused on getting the job done quickly and efficiently. 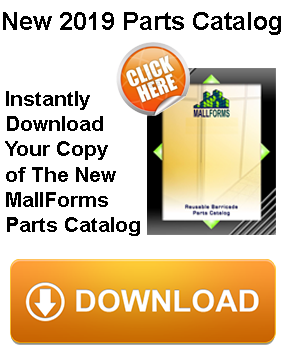 Here are just a few reasons why Mallforms portable wall partitions could be the exact solution you’ve been looking for…. 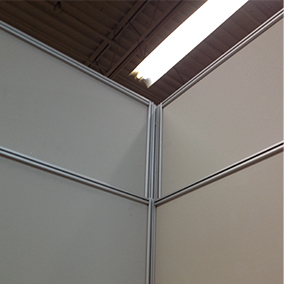 #1: Mallforms Modular Partition Wall Systems Fit ANY Size Needed…. 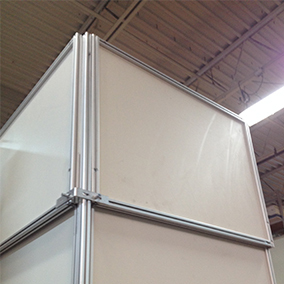 The MallForms partition wall system is adaptable, modular and expandable. The whole set up and break down is quite fast and easy. 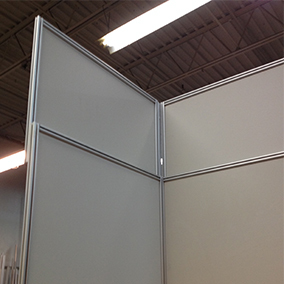 Our walls can be easily reconfigured to be able to fit many floor layouts. You don’t need expertise in construction or design to set up these walls and there’s no need to look for skilled labor to set up the walls. 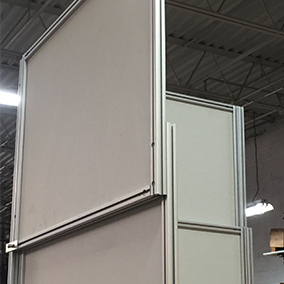 The walls are easy to modify, adapt and also expand as they consist of lightweight aluminum frames and ¼” thick infill panels. 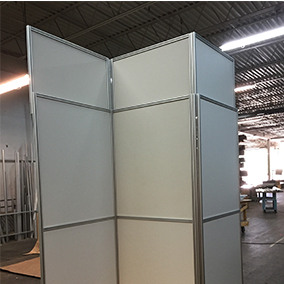 If required, there is also an option for a partition wall with door so that your crew will be able to easily enter and exit the “room” where the construction is going on. 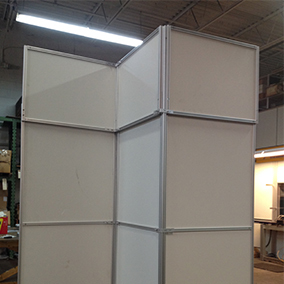 Mallforms modular partition wall systems can be configured to fit any size area needed. It is easy to set-up, take down and store away for the next use in just a short time. 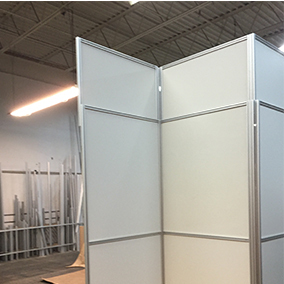 Seriously, the best part about our commercial partition walls is that you’ll be able to store them away for next time, saving you thousands let alone the hassle of dealing with messy, time consuming drywall which leads us to our next point…. 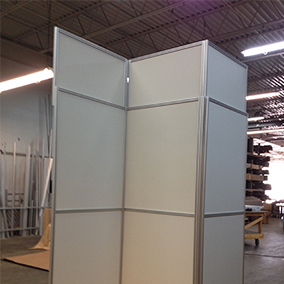 #2: The Cost Savings From Using Mallform’s Mobile Partition Walls Is Insane! Seriously, You’ll Be Saving Thousands After Just The Second Use! MallForms wall systems are eco-friendly and can be reused on plenty of other projects for years. You’ll not only be saving your environment but also your energy, time and money! 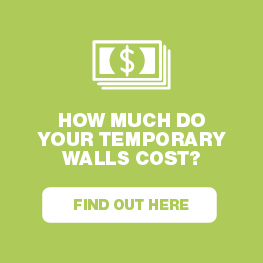 Like we briefly mentioned in reason number one, just after the second use of Mallforms modular walls, you’re going to be saving thousands. The cost for the drywall material alone is $458. Then the time it takes to set up, take down and dispose of the drywall will cost around $2,465. Total cost of drywall for project one = $2,923. This is for just one project! So for each and every project of 34 LFT wall x 8 ft. high, you’ll roughly be spending $2,923 dollars each time if you’re using drywall….. 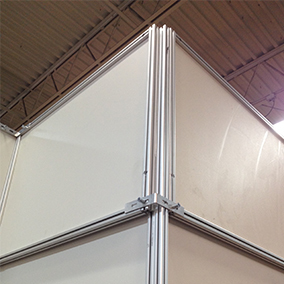 Whereas with Mallforms modular walls, you only have to buy the materials ONCE. The cost for the Mallform’s modular wall material is $3,504. Then the time it takes to set up, take down and store the wall away for next time costs around $330. Total cost of Mallforms’ walls for project one = $3,834. While the cost for the first project when using Mallforms is a bit higher than drywall, remember that drywall has to be bought each project and where the real cost savings is in the fact that you can reuse the Mallforms walls over and over again. Invest in a smarter, cost efficient, eco-friendly solution that will cost a little more upfront but pay off tremendously in the long run. Seriously just imagine the cost savings after 3, 4, 5, projects! Mallforms walls can be used on many many future projects, which leads us to our next point…. Mallforms walls are built to last for many many years using only the best quality materials. We are proud of the fact that the walls will be able to endure many uses and provide an excellent cost effective, time saving solution. Not only will Mallforms movable partition wall systems save you lot of money and time, they also make for great advertising platforms. There are a number of ways that your walls can be utilized for commercial purposes through a graphic advertisement that draws attention easily. The advertising space can be used to brand your own business or for other businesses. The space on the modular walls can be rented out to outside, which in turn can help pay for the cost of the walls themselves (making it a win win scenario)! MallForms provide its customers with a long lasting and effective solution for construction walls, temporary walls, temporary wall partitions, barricades, the list goes on…. 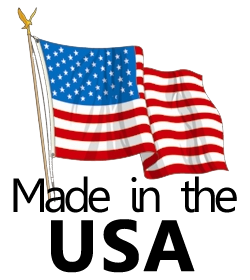 If you have any questions, feel free to give us a call or fill out the contact form here. We look forward to helping keep your construction area fully safeguarded and secure!